I hope you are having a great weekend. I can't believe the first month of 2019 is almost over. Can you believe it? How are you doing with your goals or resolutions? 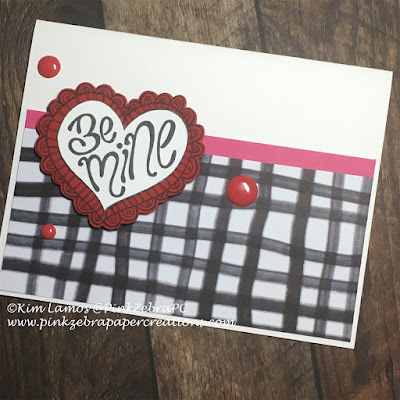 Today I want to share a Valentine's Day card I recently created. It's a very simple card, but I think it is pretty cute. The heart was stamped two times, once on Whip Cream Cardstock and once on Cranberry Bliss Cardstock. I then fussy cut each piece out and layered the white heart on top of the red heart. All Supplies used are from Fun Stampers Journey and can be purchased here.